Kaellenius, pictured, is one of a younger generation of managers in the running to succeed Zetsche as Daimler CEO. MUNICH -- Daimler appointed Ola Kaellenius as head of research and development, making the 46-year-old Swedish national a prime contender to succeed Dieter Zetsche as the automaker's next CEO. Kaellenius, who is currently head of sales at Mercedes-Benz Cars, will succeed Thomas Weber after Weber, 61, retires at the end of this year, Daimler said Tuesday in a statement. Zetsche’s contract was extended through 2019, giving Kaellenius -- a 23-year Daimler veteran -- time to prove himself. Zetsche's contract extension may rule out trucks division head Wolfgang Bernhard, China boss Hubertus Troska and finance chief Bodo Uebber as his potential successors. All three will be close to 60 years old in 2019, when Daimler will choose its next CEO. As a result, the role is likely to fall to a member of a younger generation of managers, including Kaellenius and two other executives in their late forties: Markus Schaefer and Klaus Zehender, who run manufacturing and procurement respectively at Mercedes. The potential orderly handover of power is a marked contrast to the turmoil the company faced 10 years ago when Zetsche was thrust into the top job as Juergen Schrempp's efforts to build a global auto giant unraveled. Zetsche, 62, stabilized Daimler by unwinding the ill-fated merger with Chrysler and selling the company's holding in Airbus's parent to focus on Mercedes luxury cars and Daimler’s commercial-vehicle business, the world's biggest. Zetsche himself was under pressure when Mercedes-Benz dropped to No. 3 in upscale cars behind Audi, but he now has the marque on track to pass BMW's namesake brand for the segment's top spot this year. Daimler's value has climbed more than 50 percent during Zetsche's tenure. As Weber's successor, Kaellenius can gain experience throughout the group by overseeing development of new Mercedes cars as well as research projects for the entire group. His replacement as sales chief at the cars division will be named in the course of 2016, Daimler said. If Kaellenius succeeds Zetsche, he would be the first non-German to run the company that traces its history to the invention of the automobile 130 years ago. He would also become part of a generational shift among German car leaders, as the auto industry faces disruptive changes posed by self-driving vehicles, car-sharing services and tighter pollution standards. BMW CEO Harald Krueger was 49 at the time of his transition to the helm in May last year. Kaellenius emerged as a potential Zetsche successor when he was promoted to Daimler's management board last year. 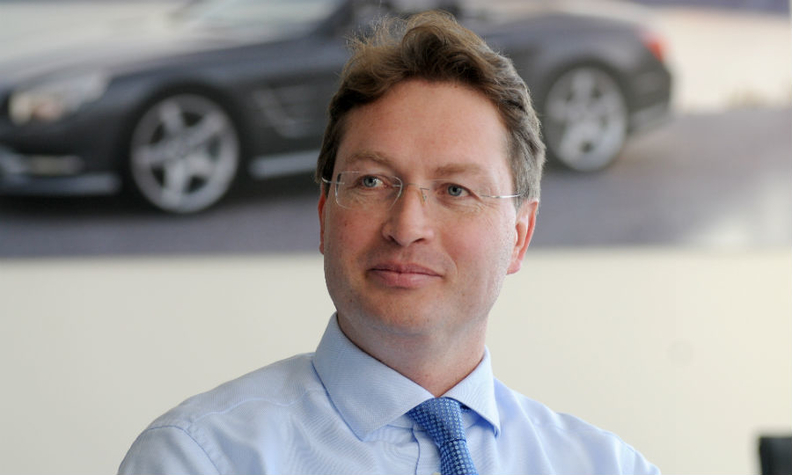 The executive joined Daimler in 1993 after studying management and finance in Sweden and Switzerland. After stints in Mercedes's U.S. plant in Alabama, Kaellenius established a track record in performance cars as head of operations at sports-car maker McLaren Automotive and then running AMG from 2010 to 2013. But unlike past Daimler CEOs, he hasn't so far spent time in the trucks unit.